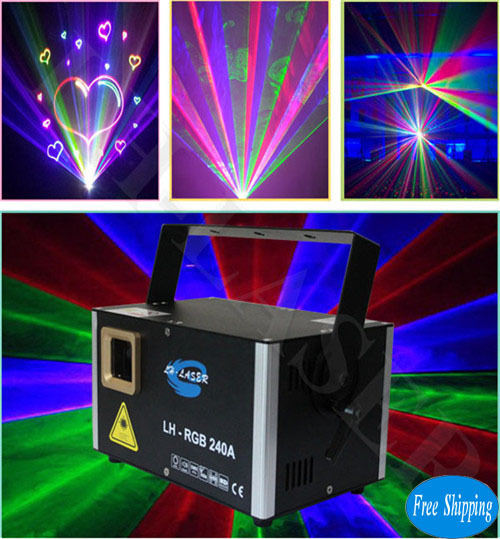 1).One Laser=Some different kind of laser, can use as a Single Red,Single Green, Single Blue or Red&Green and so on. 2).Have Network Port And ILDA Interface. When you connect with Laser Software, you can select one of them. 3).The Laser Handle can turn to big Angle, you can Hang it with different Angle >180°.